The Monitor and KPFT need your support to stay on the air. Please help us reach our goal 0f $800 by calling in your pledge of support at 713-526-5738 or by pledging online at kpft.org. We will be featuring part of a speech by John Kiriakou delivered at a KPFT fundraising event in August. We have signed copies his new book Doing Time Like A Spy available for a pledge of $120. His book is a memoir of his twenty-three months in prison. Using twenty life skills he learned in CIA operational training, he was able to keep himself safe and at the top of the prison social heap. Including his award-winning blog series “Letters from Loretto,” Doing Time Like a Spy is at once a searing journal of daily prison life and an alternately funny and heartbreaking commentary on the federal prison system. Act. All other charges were dropped. Even though he had no criminal intent, and there was no harm to the national security, accepting the plea resulted in a sentence of 30 months in prison. This entry was posted in CIA, Classified Information, Cost of War, Democracy, DOJ, Intelligence, Pledge Drive, Radio Shows and tagged CIA, Classified Information, Intel, John Kiriakou, Pledge Drive. Last week Roy Moore won Senate runoff election to replace Attorney General Jeff Sessions. Moore is no stranger to controversy (among other things, he has said that homosexuality should be illegal, Muslims to not be allowed in Congress, and 9/11 was God’s punishment for Americans’ sins). We talk with Frederick Clarkson about the significance of Moore’s victory. The Spanish government violently responded to an independence referendum in Catalonia. Hundreds were injured or unable to vote. The result, despite (or because of the low turnout) was about 90 percent in favor of independence. Sebastiaan Faber explains how and why this happened. This entry was posted in Civil Rights, Democracy, Dictatorship, Donald Trump, Economic Inequality, Economy, Elections, Hypocrisy, Immigration, News And Analysis, Police Militarisation, Police-Community Relations, Politics, Primer, Race, Race Relations, Radio Shows, Spain and tagged Catalonia, Donald Trump, Elections, Independence, Race, Race Relations, Spain. Military Budget proposals of at least $600 billion per year are working their way through Congress.Although President Trump promised to avoid unnecessary wars, he still is seeking a major increase in the already gigantic U.S. military budget, a risky contradiction, says Ivan Eland. Emily Berman is an assistant professor of law at the University of Houston’s Law Center. Berman’s scholarship explores the relationships among government institutions in the development, implementation, and oversight of national security policy. In particular, she focuses on the implications of the changes wrought on domestic laws and institutions by the national security state and notes the need for institutional reforms that both remain faithful to fundamental legal principles and take account of the unique legal and policy challenges posed by domestic counterterrorism policy. Prior to joining the University of Houston Law Center faculty in the fall of 2014, she taught for two years as a visiting assistant professor at Brooklyn Law School. She previously was a Furman Fellow and Brennan Center Fellow at New York University School of Law and held positions as counsel and Katz Fellow at the Brennan Center where she developed policy recommendations, drafted reports, and engaged in advocacy regarding U.S. national security policy and its impact on civil liberties. After graduating from law school, Berman clerked for the Hon. John M. Walker, Jr. of the Second Circuit Court of Appeals. Berman’s work has been published in the Washington & Lee Law Review, Fordham Law Review, George Mason Law Review, Florida State University Law Review, New York University Law Review, and her opinion pieces have appeared in The Atlantic Online, the National Law Journal, Legal Times Online, and CNN.com, among others. Berman teaches National Security Law and Constitutional Law. This entry was posted in Armed Forces, Classified Information, Cost of War, Debt, Democracy, Economy, FBI, Intelligence, News And Analysis, Nuclear Weapons, Pentagon, Politics, Radio Shows, Russia, The "War on Terror", The Economy, War Budget and tagged Economy, FBI, Media, News, Politics, Trump, Truth. This first part is called “Happiness Machines“. It is the story of the relationship between Sigmund Freud and his American nephew, Edward Bernays. Bernays invented the public relations profession in the 1920s and was the first person to take Freud’s ideas to manipulate the masses. He showed American corporations how they could make people want things they didn’t need by systematically linking mass-produced goods to their unconscious desires. Bernays was one of the main architects of the modern techniques of mass-consumer persuasion, using every trick in the book, from celebrity endorsement and outrageous PR stunts, to eroticising the motorcar. It was the start of the all-consuming self which has come to dominate today’s world. Originally broadcast on 29th April 2002. This entry was posted in Radio Shows. 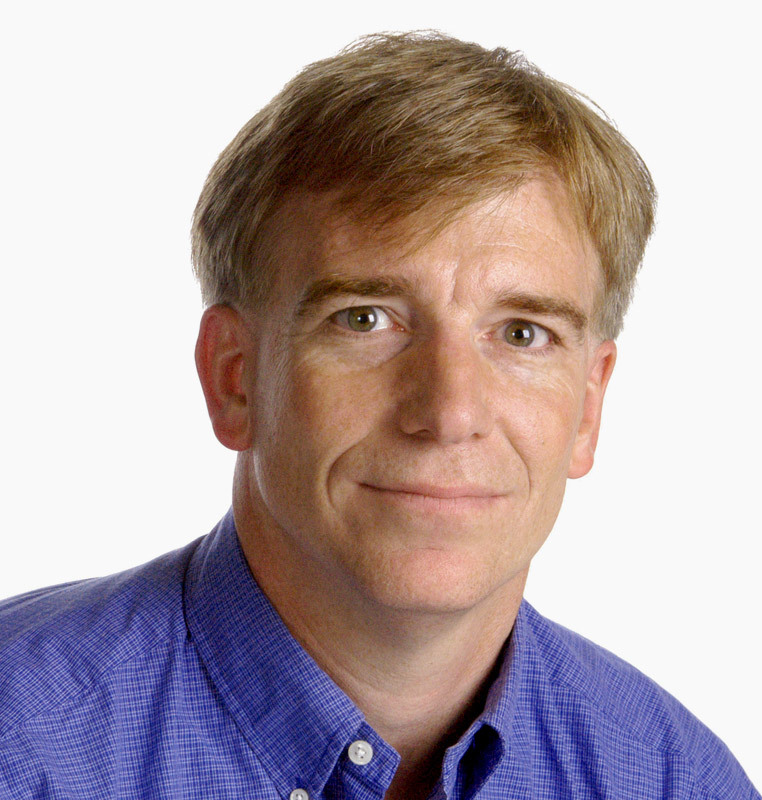 Mark Crispin Miller is a Professor of Media, Culture and Communication at New York University. He is the author of several books, including Boxed In: The Culture of TV; The Bush Dyslexicon: Observations on a National Disorder; Cruel and Unusual: Bush/Cheney’s New World Order and Fooled Again: The Real Case for Electoral Reform. He is also the editor of Loser Take All: Election Fraud and the Subversion of Democracy, 2000-2008. His essays and articles have appeared in many journals, magazines and newspapers throughout the nation and the world, and he has given countless interviews worldwide. Miller is the editor of Icons of America, a book series published by Yale University Press. Miller is now at work on The Marlboro Man: An American Success Story, to be published by Yale University Press in 2011. 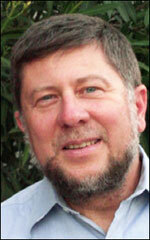 He is also editor of Discovering America, a new book series from the University of Texas Press. In 2004, Miller wrote Patriot Act, a show that he performed for six weeks at the New York Theater Workshop, co-starring with Steve Cuiffo. Miller earned his bachelor’s degree from Northwestern University in 1971, and his doctorate in English from Johns Hopkins University in 1977. Although he specialized in Renaissance literature, Miller is best known as a media critic. Before joining New York University, Miller served as director of film studies at Johns Hopkins University. Shireen Al-Adeimi is a doctoral student in Human Development and Education. She has taught sixth grade Language Arts and Literature in Albuquerque, New Mexico, and is currently studying the role of classroom discussion in developing students’ writing quality. In particular, she is interested in academic language and hopes to make salient the linguistic features that are indicative of academic language production in writing. She is also conducting research that investigates the role of bilingualism in the manifestation of cognitive processes in writing. Al-Ademi holds an M.A. in education from the University of Michigan. This entry was posted in Armed Forces, Assassination, Banned Books, Bush, CIA, Classified Information, Democrat Corruption, Dictatorship, Donald Trump, Economic Inequality, Empire, First Ammendment, Glorification of War, GOP Corruption, Greed, Hillary Clinton, Hypocrisy, Intelligence, ISIS, Islamic State, Media, Mentioned on Air, News And Analysis, Obama, Propaganda, Putin, Radio Shows, Syria, The "War on Terror", The Constitution, The War on Terror, War Budget, War Reporting, Yemen and tagged Censorship, Donald Trump, Media, News, Politics, Putin, Russia, Saudi Arabia, Yemen. Wilmer J. Leon III, Ph.D. is a Political Scientist whose primary areas of expertise are Black Politics, American Government, and Public Policy. For 11 years he was a Lecturer/Teaching Associate in the Political Science Department at Howard University in Washington, D.C. Currently, Dr. Leon is a nationally broadcast radio talk show host on SiriusXM Satellite radio channel 126, nationally syndicated columnist, and regular political commentator on national and international news programs. Dr. Leon earned a BS degree in Political Science from Hampton Institute, a Masters in Public Administration (MPA) from Howard University, and a Ph.D. in Political Science from Howard University. He was a contributing author to Democratic Destiny and the District of Columbia (Lexington Books, 2010). His latest book is “Politics another Perspective: Commentary and Analysis on Race, War, Ethics, and the American Political Landscape. 2016 Author House. Dr. Leon is a regular contributor to TruthOut.org, The Root.com, Politics In Color.com, BlackStar News.com, Black Agenda Report, Black Politics on the Web, and over 200 newspapers and other web sites across the country. 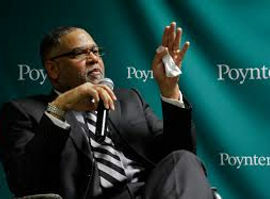 He can also be seen as a regular contributor and analyst on TV-One’s News On Now with Roland Martin, Press-TV and RT TV. A serious void exists in the public discourse relating to the issues that directly and/or disproportionately impact the African-American community. Dr. Leon discusses issues such as the prison industrial complex, environmental racism, school vouchers, health care, crime policy, economic globalization, American domestic and foreign policy from as much of a non-biased and academically accurate perspective as possible. Dr. Leon’s perspective and lectures are grounded in the history of the African American community and the radical tradition of African American scholarship. is professor of history at the University of Arizona, who specializes in international relations and military intervention. His most recent book is First Do No Harm: Humanitarian Intervention and the Destruction of Yugoslavia from Vanderbilt University Press. “Why Trump is Pushing the Doomsday Clock to the Brink of Midnight: Noam Chomsky Discussed Trump, Russia, History, and the Future at the University of Arizona,” Salon, April 2, 2017. For full text, click here. For French translation, click here. For Japanese translation, click here. Interview with Joan Brunwasser, “Trump Might Actually Be Right about NATO?” OpedNews, July 23, 2016. For full text click here. “The Future of NATO,” RT News, April 4, 2016. For full text, click here. “Why the Srebrenica Massacre Should not be Used as an Excuse for Intervention,” History News Network, December 27, 2015. For full text, click here. This entry was posted in Armed Forces, Civil Rights, Cost of War, Culture, DOJ, Donald Trump, Economic Inequality, Education, Greed, ISIS, Islamic State, Media, Morality, News And Analysis, Obama, Police, Politics, Propaganda, Race, Race Relations, Radical, Radio Shows, Syria, War Reporting, Wealth and Income distribution and tagged Culture, Education, News, Politics, Race Relations, Truth, War Reporting.